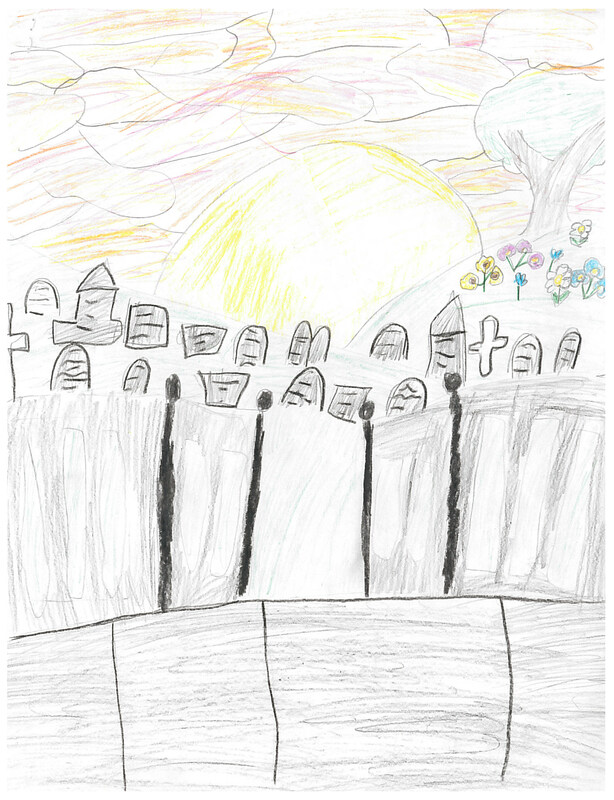 Your drawing of a cemetery at sunrise is lovely. You’ve captured the beautiful colours of the sky and I also like the springtime details like the flowers in bloom and the soft green of the grass. 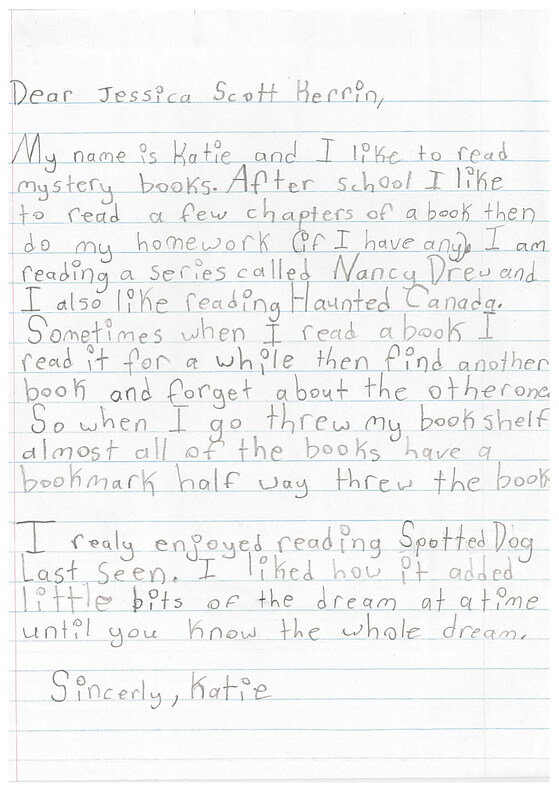 I’m so glad to learn that you enjoy reading mystery books and that you liked the dream sequences in The Spotted Dog Last Seen. Your bookshelf full of books with bookmarks where you last left off reminds me of my own bookshelves, only I have rows of books to read, but I still buy new books, having not yet read those waiting on my shelves to be read! Too many great books; too little time.